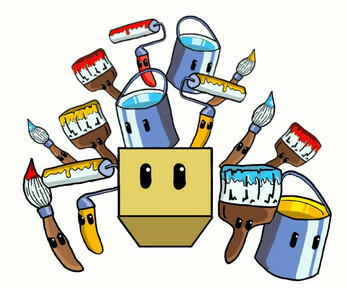 A Smash-TV styled top down shooter where you eliminate evil Paint Brushes, Rollers and Paint Cans. Each enemy has its own colour, and you must think fast to avoid their barrages of attacks and switch to the correctly-coloured weapon in order to win... MAKE SOME MESS!! !